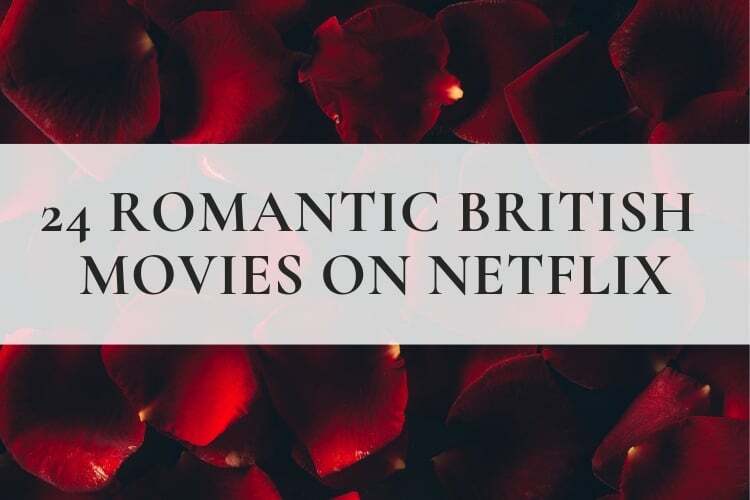 If you're in the mood for a good romantic British movie, look no further than Netflix. As of this moment, there are at least 24 strong contenders for a spot in your Netflix queue (though we'll be the first to admit, at least one of them is a bit…unconventional). Not looking for something romantic? Check out our complete list of British Movies on Netflix instead. 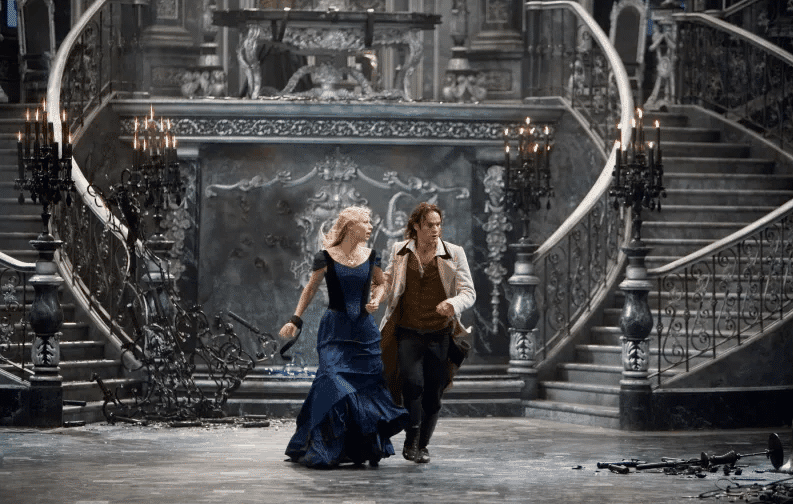 Stardust – This 2007 film has a little bit of everything – adventure, action, fantasy, and romance. When a young man promises his love he'll retrieve a fallen star to gain her hand in marriage, he begins a great adventure. Stardust is based on the Neil Gaiman novel by the same name. You can get it HERE. The Other Boleyn Girl – Anne and Mary Boleyn compete to win the affections of King Henry VIII (talk about a competition you don't want to win). The Pass – Two male professional soccer players share a moment of intimacy that changes their lives forever. The Duchess – The Duchess tells the story of Georgiana Cavendish, Duchess of Devonshire, a noblewoman known for scandalous personal life and highly influential social life. A big part of the film deals with Georgiana Spencer’s extra-marital affair with Charles Grey, a prominent politician (played by Ralph Fiennes). 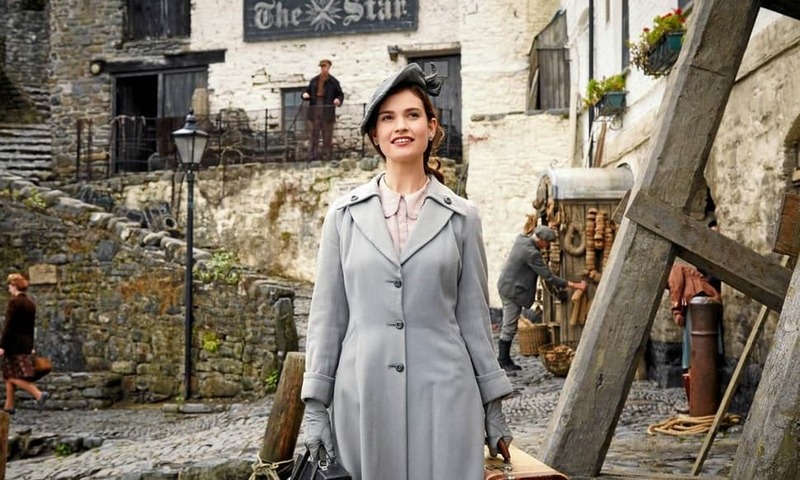 The Guernsey Literary and Potato Peel Pie Society – A young writer travels to Guernsey to learn about a mysterious society with roots in the German occupation of the island during WWII. Along the way, there is drama, mystery, and a healthy dose of romance. Interestingly, this film wasn't actually filmed in Guernsey. Instead, it was shot around London, Bristol, and coastal Devon. Becoming Jane – This film focuses on the early years of Jane Austen, when she embarks on a romance with a penniless young lawyer who helps her grow into the woman she needs to be to create enduring literary classics. About a Boy – Hugh Grant stars as an irresponsible Londoner who invents a son so he can attend single parent meetings to find women. Man Up – Who says the rom-com is dead? In this Tess Morris-written film, a young woman realizes she needs a change in her life, then hijacks another woman's blind date and fumbles her way toward love. God's Own Country – A young gay sheep farmer in Yorkshire is bored until the arrival of a Romanian migrant who makes things interesting. It's a little like a Yorkshireman's Brokeback Mountain, but younger. Sliding Doors – This film explores how a woman's life would have gone if she had and had not caught one particular train. Gwyneth Paltrow stars alongside John Hannah and John Lynch in this imaginative 1998 romantic comedy classic. Angus, Thongs, and Perfect Snogging – This coming of age story focuses on a 14-year-old girl keeping a diary about her experiences with being a teenager, first kisses, and worries about the state of her parents' marriage. Love, Rosie – This film follows two close friends as they drift in and out of each other's lives over the years, never quite making the romantic connection. 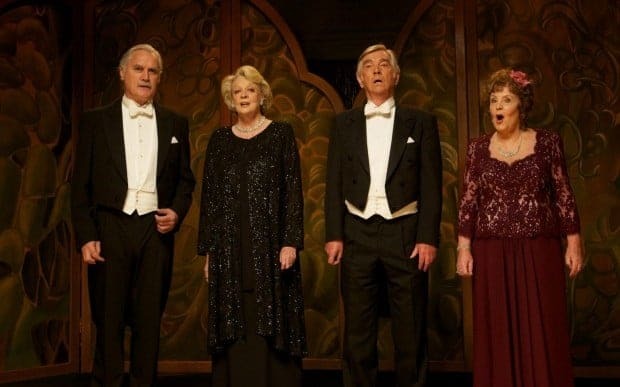 Quartet – If you enjoy stories of love found late in life, you'll adore this film about the residents of a retirement home for former professional musicians. Atonement – Kiera Knightley and James MacAvoy star in this dramatic tale of the consequences of false accusations from a loved one. The movie is based on the book Atonement by Ian McEwan. 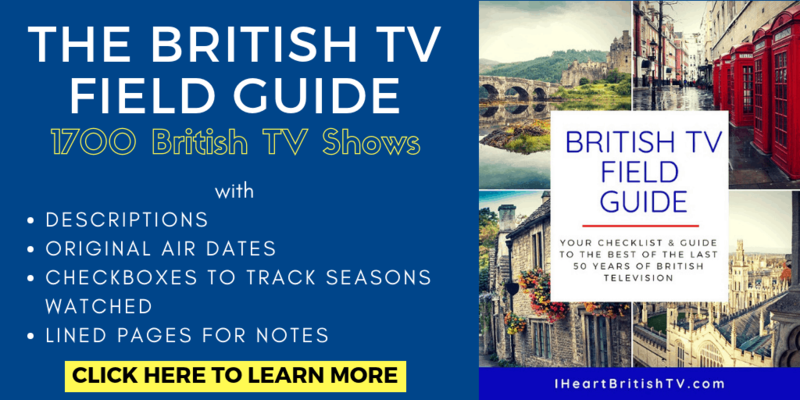 Viceroy's House – This 2017 British-Indian period drama stars Hugh Bonneville and Gillian Anderson, including a love story against the backdrop of the Indian movement for independence. Been So Long – A single black mother in Camden Town (London) meets a handsome stranger with a questionable past. Chocolat – A single mother and her young daughter move to a quaint French village and open a chocolate shop. 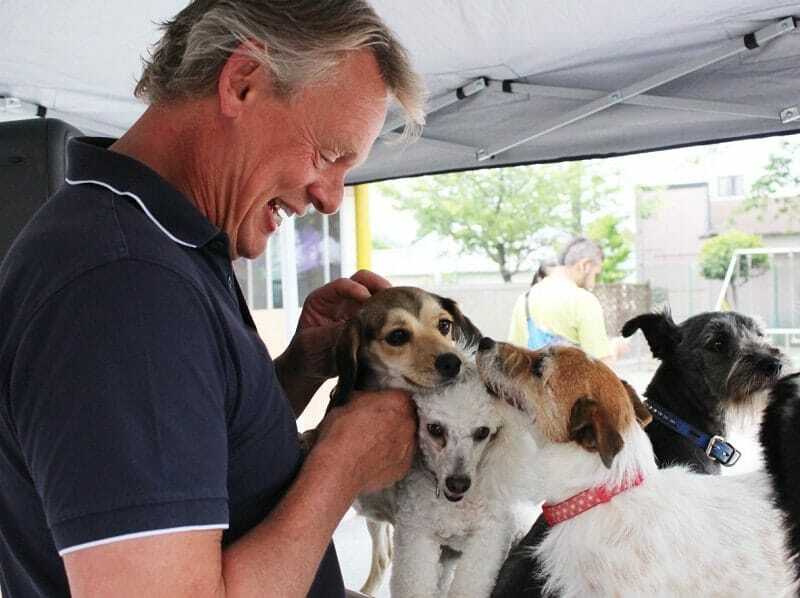 The star-studded cast includes Judi Dench, Juliette Binoche, and Johnny Depp. Doctor Zhivago – This classic epic romance takes place around WWI, the Russian Revolution (1917), and the Russian Civil War, telling the story of a married Russian physician who falls in love with a political activist's wife. Ali & Nino – Set against the backdrop of WWI, this period drama tells the story of Ali, a wealthy Muslim, and Nino, a wealthy Georgian Orthodox Christian. The two fall in love and struggle to get their families to accept the union. Suite Française – With her husband away fighting during WWII, a lonely Frenchwoman embarks on a romance with a German soldier living in her mother-in-law's house. While you'll spot some American actors in this film, BBC One was one of the production companies. Howards End – Set in Edwardian England, this movie tells the story of what happens when you choose to go against the deathbed wishes of a spouse. This one's been done a time or two, so if you don't like the shorter movie version, check out this TV version on Prime (or the book HERE). An Education – A young and impressionable Oxford-bound woman meets a fascinating older man in this 2009 film. While not a massive box office hit, it was nominated for three Academy Awards. What's Your Favorite Romantic British Movie? It doesn't have to be on Netflix – feel free to share your favorites in the comments!